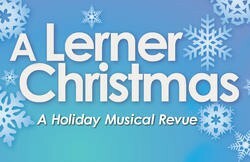 Enjoy a Lerner Christmas at Elkhart's Lerner Theatre! Once the holidays roll around, the stage comes to life with all manner of wonderful, Christmas-themed shows, most popular of which has to be “A Lerner Christmas” holiday music review, which is designed to warm your smile, get your toes a-tapping, and leave you with a song in your heart. The Conservatory of Dance is thrilled to invite you to once again enjoy their presentation of this classic Christmas tale as told from a modern perspective – a story about unity and love both within families and around the world. The Elkhart Municipal Band returns to The Lerner stage for a celebration of holiday favorites, featuring “Tuba Christmas.” The annual tradition of the Jubilee Bell Ringers will take place at 1:45 p.m. before the band concert commences at 2:30. Charles Dickens timeless Christmas classic about miser and curmudgeon, Ebeneezer Scrooge’s disdain for frivolity and celebration of any sort – Bah! Humbug! – and a host of ghosts attempts to wake him to joy – before it’s too late! A strong and stirring revue of classic holiday favorites. You know these songs and are encouraged to sing along with them – but you wont be prepared for the beauty, wonder, and laughs that accompany the performances. A tour de force – don’t miss it. Elkhart’s historic Lerner Theatre is less than an hour from Scottish Bed & Breakfast. With our luxurious amenities, spacious lodging, and delicious breakfasts, making Scottish Bed & Breakfast your home base for all your Northern Indiana adventures couldn’t be smarter! Our Specials and Packages page has some offers designed with you in mind – and don’t forget that you can give the gift of an Amish Country getaway with one of our Scottish Bed & Breakfast gift certificates! This entry was posted on Friday, November 20th, 2015 at 10:00 am and is filed under Things to Do Near Bremen, Indiana. You can follow any responses to this entry through the RSS 2.0 feed. Both comments and pings are currently closed.